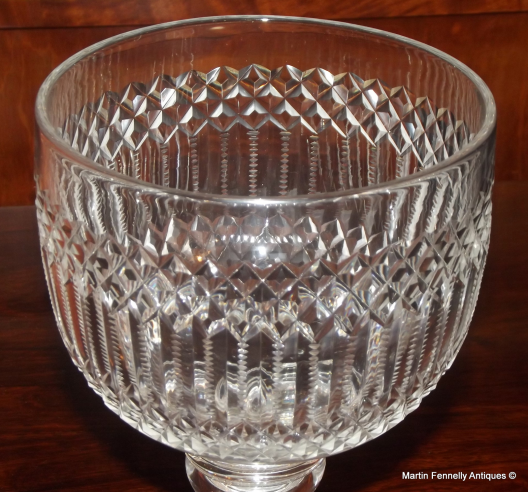 This is a very large Crystal Chalice dating to Circa 1900 and in great condition. 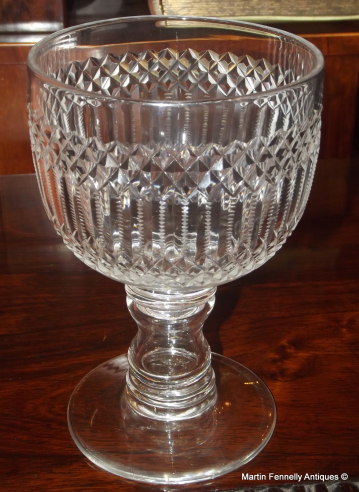 The Circular top of the Chalice has Hob Nail and Saw Tooth Cut design. The thick column Stem has turned detail. The Spreading circular is also large. 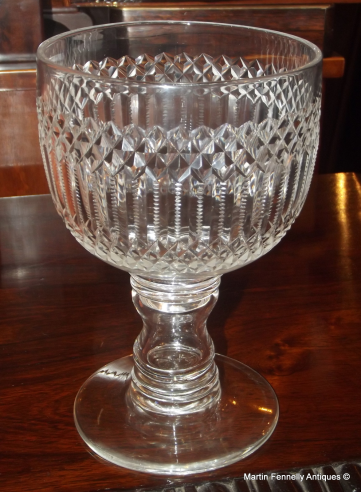 This is a beautiful Chalice and would make a stunning Centrepiece on any Table.